Lawmakers kicked off a historic 2019 legislative session with promises to act civilly and defy the political gridlock of Washington, D.C. — a marked contrast to the partisan lines in the sand drawn on opening day last session. 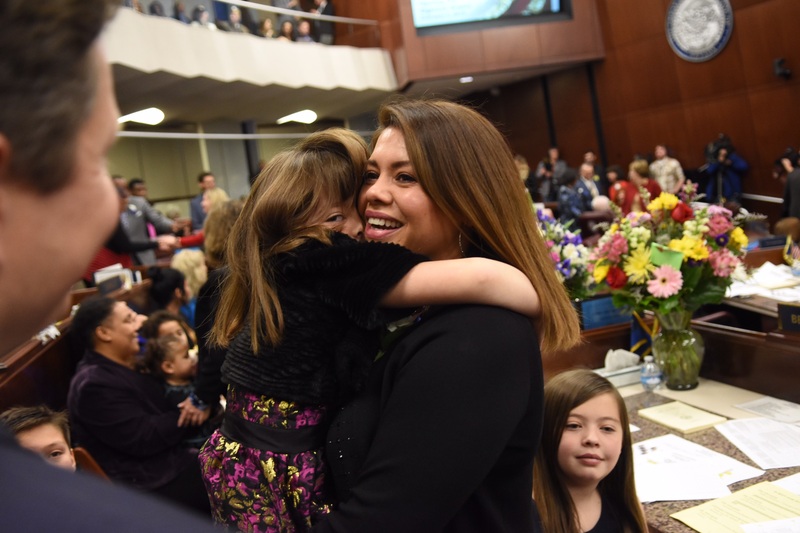 During largely ceremonial activities in the snowy capital of Carson City, Democratic legislative leaders Assembly Speaker Jason Frierson and Senate Majority Leader Kelvin Atkinson both highlighted the milestone Nevada reached Monday in officially becoming the first state in the nation with a female-majority legislature. Lawmakers also adopted a few changes in legislative rules. The Senate is eliminating a rules committee that existed in the last two sessions to approve or disapprove of specific amendments prior to their introduction on the floor of the Senate. The effect was that very few amendments were ever added outside of committees. In his remarks, Frierson highlighted former Assemblywoman Sadie Hurst, the first woman in the Assembly who was elected in 1920, as well as Assemblywoman Maggie Carlton, the longest serving woman in the history of the state. Carlton, who served six terms in the Senate before joining the Assembly, touched off her 11th regular session today. The pair of leaders made history themselves today as only the second-ever pair of African-American majority leaders (after Frierson and former Senate Majority Leader Aaron Ford in 2017), and Atkinson as the first openly gay state Senate leader. In one of his first official moves, Atkinson extended an olive branch to his Republican counterpart, Sen. James Settelmeyer. 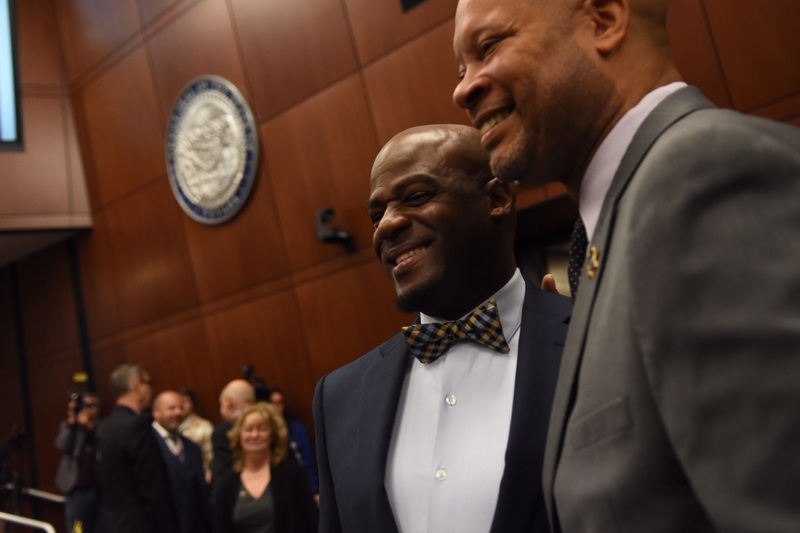 In speeches, Atkinson and Frierson outlined their top policy priorities for the 120-day legislative session, including codifying a stalled gun background check initiative, updating Nevada’s education funding formula and addressing LGBTQ homelessness. Frierson, who began his second term as Assembly speaker on Monday, said that one of the chamber’s first actions would be to vote to implement universal background checks on gun sales, a rallying cry for Democrats which voters approved in 2016 but has been stalled amid refusal of the FBI to process the checks. He thanked Assemblywoman Sandra Jauregui, who was at the Route 91 Harvest Festival the night of the Las Vegas shooting, for sharing “her story and her passion about helping to prevent tragedies like this from ever, ever happening again.” He also promised that the Legislature would address other gun control reform measures, including banning bump stock devices. “This is personal, and it’s certainly personal to Assemblywoman Jauregui. 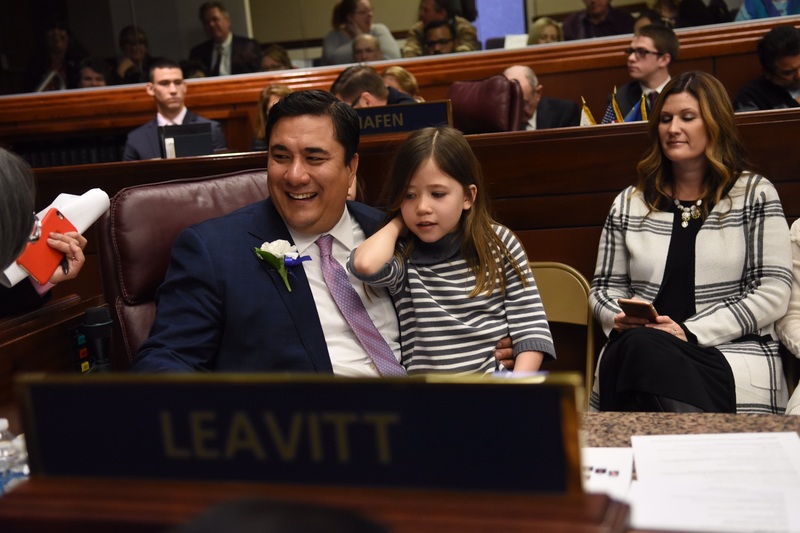 We will stand up for a safer Nevada so that experiences of those such as Assemblywoman Jauregui and the brave action by so many first responders that night will not have been in vain,” Frierson said. He also promised that no Nevadan would be denied access to health care due to pre-existing conditions, pledged to “be bold” in addressing the opioid epidemic and expressed support for funding to support women’s health benefits. 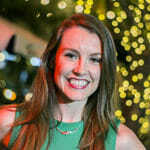 Frierson said that the Legislature would expand options for apprenticeship programs, ensure equal pay for equal work, provide access to paid leave for employees and create a “stable and predictable” environment for small businesses. 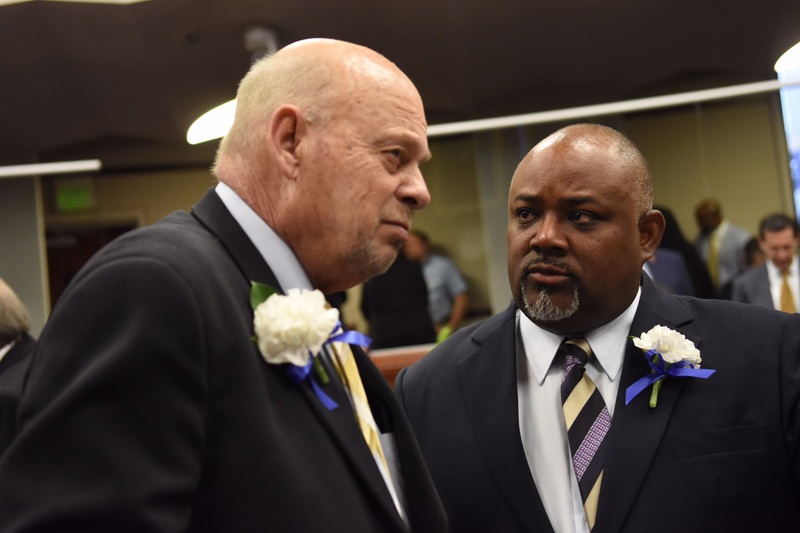 “I pledge to work with Governor Sisolak as a trusted ally and partner on implementing a vision for Nevada that takes us into our next chapter,” Frierson said. Atkinson, a longtime lawmaker who’s spending his first session as the top-ranking senator, singled out broad policy areas including education and health care but paid special attention to the issues of affordable housing and of youth homelessness, a problem particularly acute among LGBT teens. 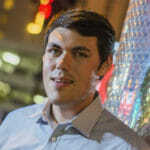 Atkinson said that the greatest accomplishment the citizen legislature might achieve is to set an example for the state in how they treat each other. His speech is softer than what his predecessor, Democratic current Attorney General Aaron Ford, shared on his first day as majority leader. Ford had sharp words about policies enacted in 2015, when Republicans controlled both houses of the Legislature and the governor’s seat. The statement prompted pushback from then-Gov. Brian Sandoval and Senate Republicans. Wheeler, in brief remarks from the Assembly floor, stressed the importance of debate to the legislative process while pressing for civility. Republicans will be in a super-minority this session in the Assembly, comprising less than one-third of lawmakers in that chamber. Lawmakers, many of whom were accompanied by their families on the celebratory first day, are expected to begin work in committees on Tuesday. Updated at 5:20 p.m. to add comments from Atkinson about rule changes.